Say what now? Is Kelly on crack? Both are poetic forms with requirements about the number of lines (a sonnet has 14, a haiku has 3). And both contain something like a turn. Just like that dance move, a sonnet is supposed to leave you in a slightly different place than you were when you started. And so is a haiku. There should be some sort of transition or break (sometimes including a physical break, like an em-dash or colon or comma) between the first and second or second and third lines that moves you to a different viewpoint, perspective, mood, feeling, or impression than you had when you started. Some people think it should have a feeling of surprise, but at least it should have some sort of revelation, however mild. 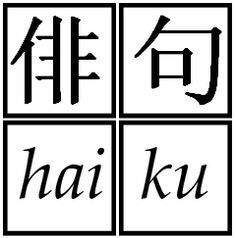 The cut, or kiru, in a haiku is basically a way of juxtaposing two ideas, without using a simile or metaphor indicator (such as "like" or "as"). It has its kigo (the word spring) in the second line, in keeping with yesterday's post about kigo. But it's pretty one-note, sort of an "all of one piece" poem. The rush and snake terms both apply readily to water and air, the comparison is there pretty much all along. Mind you, I don't hate this haiku, but it doesn't have that sense of revelation I prefer. Now the wind has become a snake, eating the blossoms off the trees. (Note that both "spring" and "blossom" are kigo. Further revision of the poem might replace spring with the name of the month, or dispense with it altogether. Nevertheless, I think this version works better for bringing something less-expected to the table.